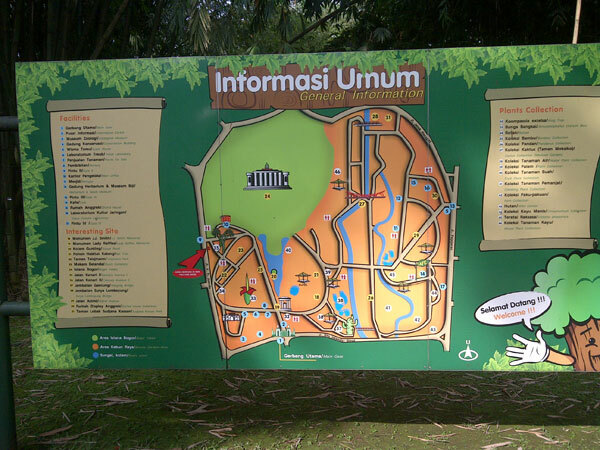 Kebun Raya Bogor or Bogor Botanical Garden is a large botanical garden located on Jl. Ir. H. Juanda, Bogor. This garden has an area that reaches 87 hectares and has a collection of approximately 15,000 species of trees and plants. According to the Batutulis inscription, Bogor Botanical Gardens was originally part of the forest that was made during the reign of Sri Baduga Maharaja, better known by the name of King Siliwangi (1474 – 1513) of the Kingdom of Sunda. In early 1800s, the Governor-General Sir Thomas Stamford Rafles that inhabited the Bogor Palace were keen to develop Bogor Palace’s yard into a beautiful garden. Through the cold hand of W. Kent, Raffles managed to make Bogor Palace’s yard into a classic English-style garden. 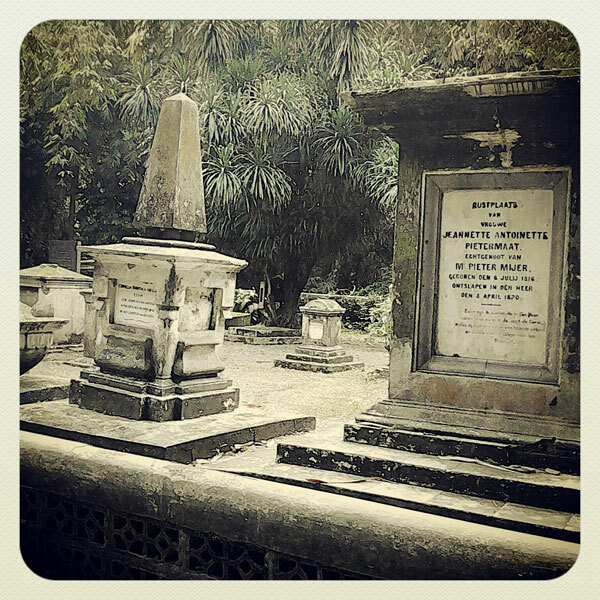 These gardens then became the beginning of Bogor Botanical Gardens. The idea of the establishment of the Botanical Gardens came from a letter written by Abner, a biologist, to the Governor-General Godert Alexander Gerard Philip van der Capellen to ask for a piece of land that will be used to garden plants; a place where teachers can teach their students, and collect plants for the development of another garden. This idea was then followed up by Prof. Karl Georg Caspar Reinwardt, a botany and chemistry scientist that collected various plants usually used for treatment at a botanical garden in Bogor. On May 18, 1817, the Governor-General Godert Alexander Gerard Philip van der Capellen formally established the s’Lands Plantentuin te Buitenzorg (or today known as Bogor Botanical Garden), which became the center of the introduction of a variety of economically important agricultural crops that led Bogor to be the central of the development of agriculture and horticulture in Indonesia. Bogor Botanical Gardens has a collection of 13,697 plant specimens, which are classified into 3441 types, 1265 genera and 220 families. One of the Bogor Botanical Gardens’ collection that attracts most attention is the Titan Arum Flower (Amorphophallus titanum Becc.) or better known as carrion flowers. Flower with the world’s biggest inflorescence height that can reach 3 meters. At the time of bloom, it smells like carrion that invites insects to aid pollination. In addition to a collection of tropical plants, Bogor Botanical Gardens also has some historic places and buildings to visit. Once inside the main gate of Bogor Botanical Gardens, is a row of walnut trees (Canarium vulgare) on both sides of the road. These trees, which were planted in 1831, 1834, and 1835, from Sulawesi and Maluku raises a distinct impression. And then there’s Teysmann Garden, a formal garden, built in 1889 as a tribute to Johannes Teysmann, a curator of the Bogor Botanical Gardens who did a lot of work in the field of landscaping. There are many other interesting places, such as the Garden Lebak Sudjana Kasan, Astrid Street, Cactus Garden, Monument of J. J. Smith, Hanging Bridge, Kalong Tree, the Dutch cemetery and Monument of Lady Raffles. From Juanda / Gondangdia / Cikini Go to Platform 2 and take the Red Line heading to Bogor Station and take a 26-minute walk to the southeast direction. From Sudirman Go to Platform 2 and take the Yellow Line heading to Bogor Station and take a 26-minute walk to the southeast direction. From Tanah Abang Go to Platform 3 and take the Yellow Line heading to Bogor Station and take a 26-minute walk to the southeast direction. Saya ingin menanyakan apakah untuk bus boleh masuk sampai ke taman dalam?boleh saya minta nomor telepon yang dapat dihubungin?